Discover the soul of a solid fishing machine. Every inch of the Striper V Trac Hull translates into better performance. 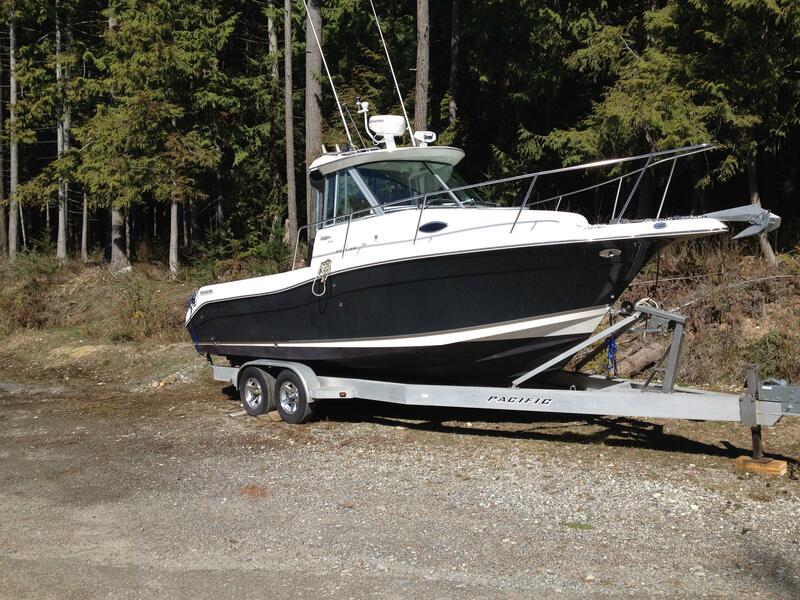 You will be impressed whether at max power at wave-breaking speed or with nimble control when trolling. 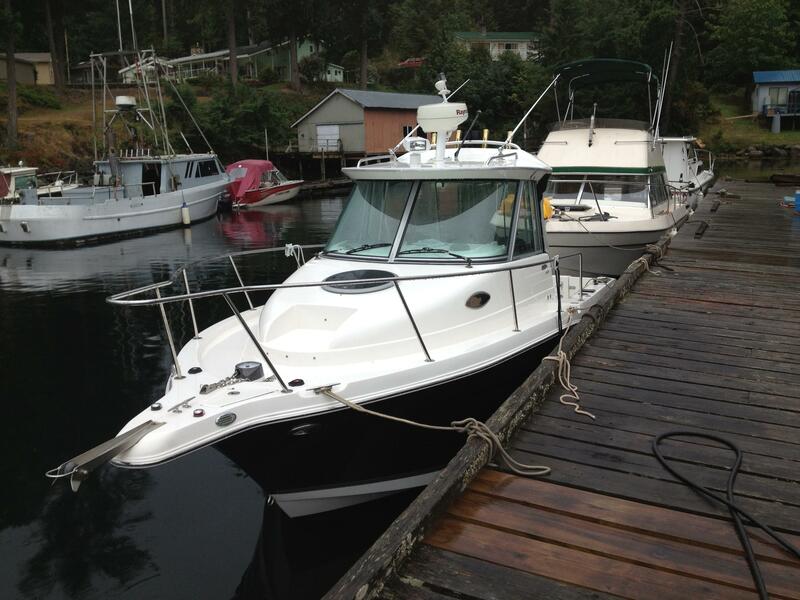 The deep wide bows maximize steering control while minimizing shaking and porpoising for the best ride on big water. 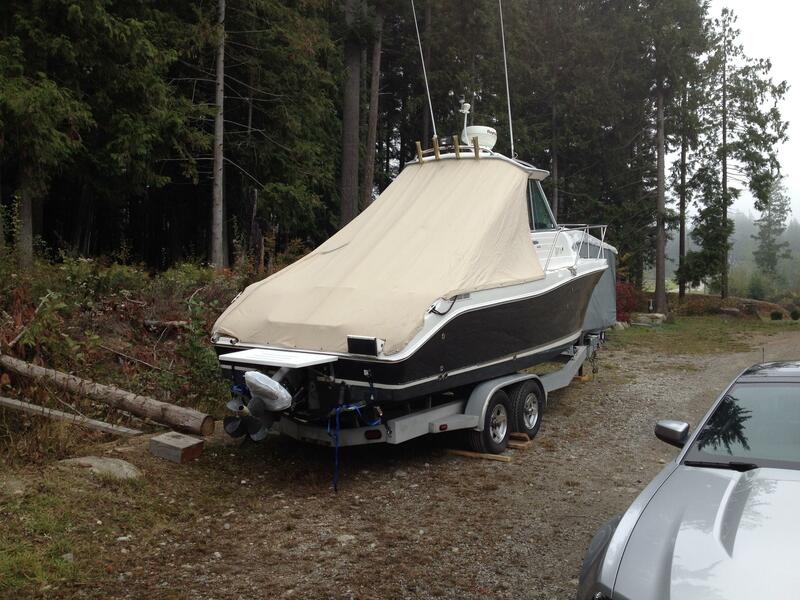 What is even more impressive this Limited Edition boat is loaded with options and is equipped with a Volvo D4-225 Diesel inboard. This is "Limited Edition" 2601 Walkaround. 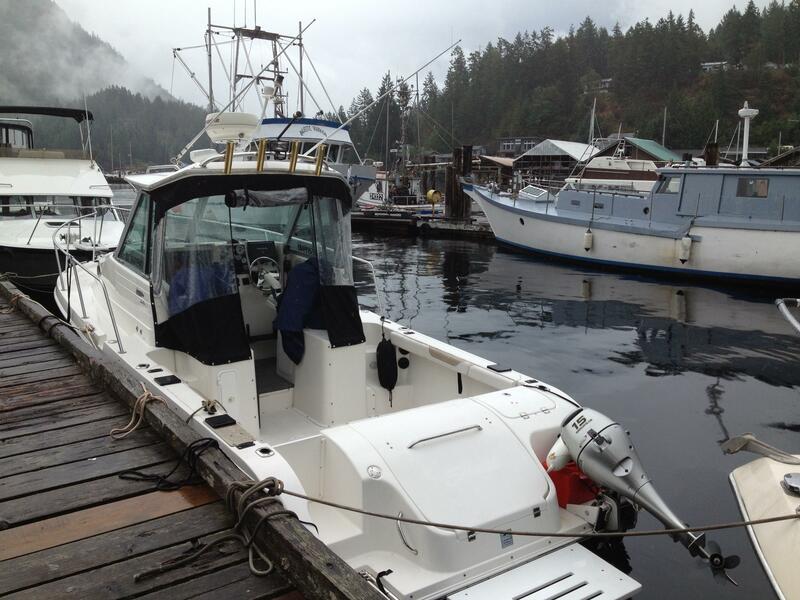 There is not another Diesel powered Striper on the West Coast that we could find. 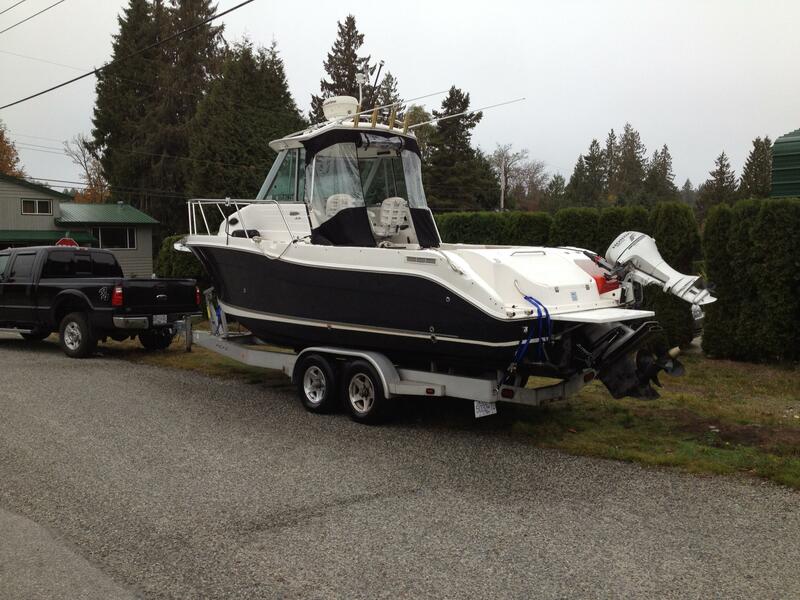 This is a fully equipped fishing Machine. Two large live bait wells. Two large fish holding tanks. 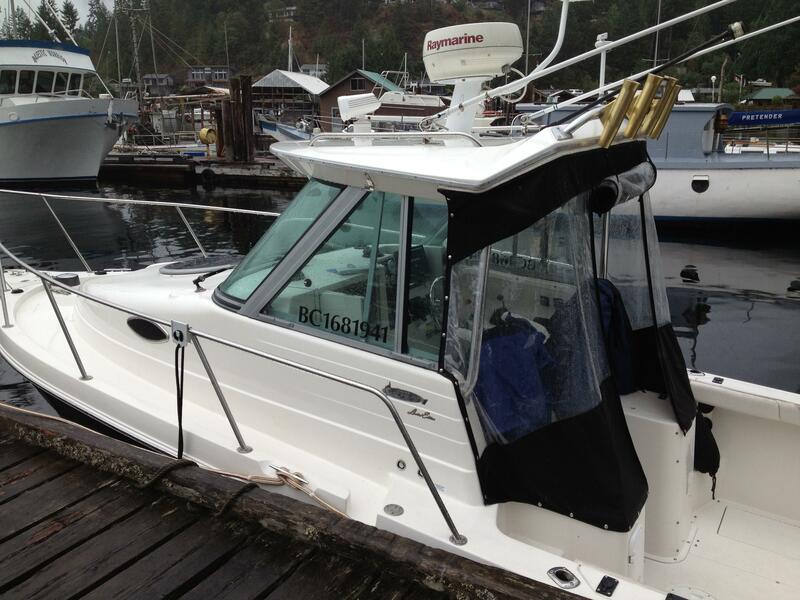 Fully equipped Raymarine E80 that provides Radar, Sounder, and GPS. Step down two stairs into a comfortable V-Berth with overhead Hatch for light and fresh air. You have a single 1 burner 120v burner cooktop and a Domatic 12V and 120V refrigerator. There is a single head. Relax after a hard day fishing on turn on your TV. 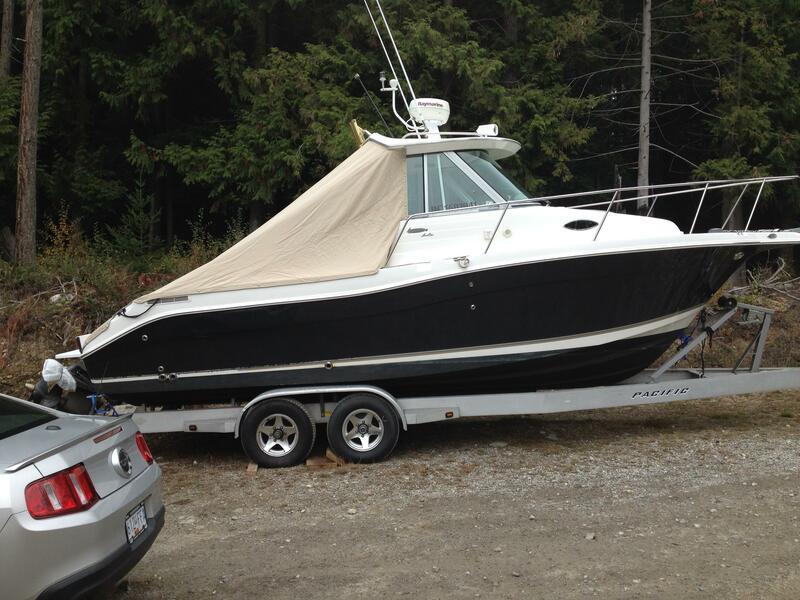 The owner is supplying two downriggers with the boat. The Premier trailer is also included. Bring your one ton! Hi there, I would like more information about the Seaswirl Striper Walkabout.